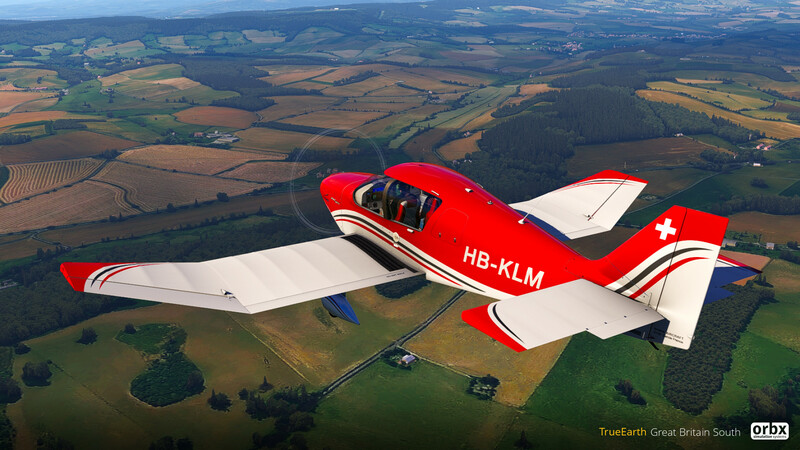 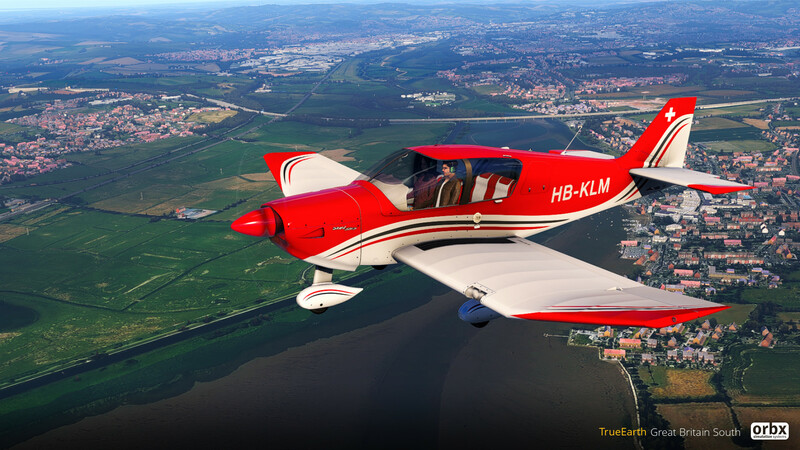 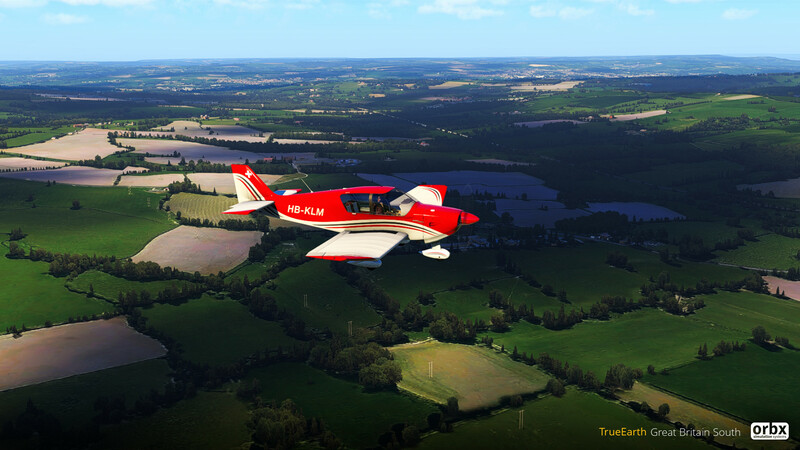 The much anticipated announcement regarding the first iteration of TrueEarth GB was made at the Flight Simulator Show 2018 yesterday. 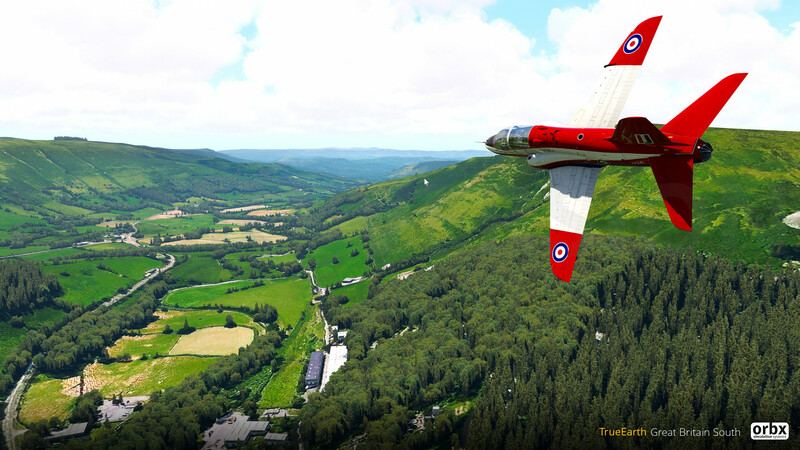 Without exception their presentation in the lecture hall at RAF Cosford was greeted by 200 jaws dropping to the floor! 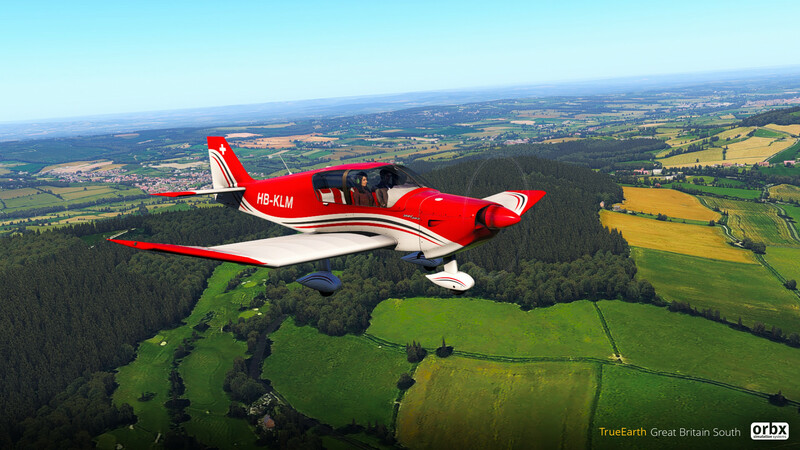 This is going to be a real game changer and due to the initial release for X-Plane 11 will boost their short term sales for a few months until the initial release for P3D is available, and later on AF 2 as well? 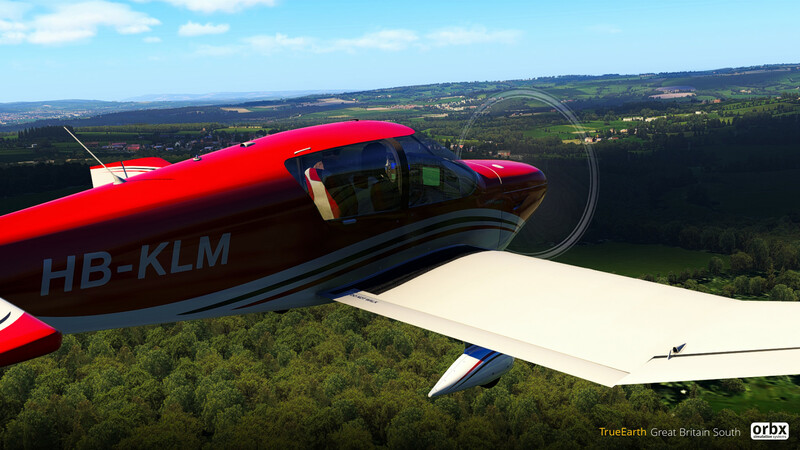 Anyway, her is a copy of Aimee's release announcement of Orbx's forum yesterday, inside information indicates the product will be live in 710 days for X-Plane. 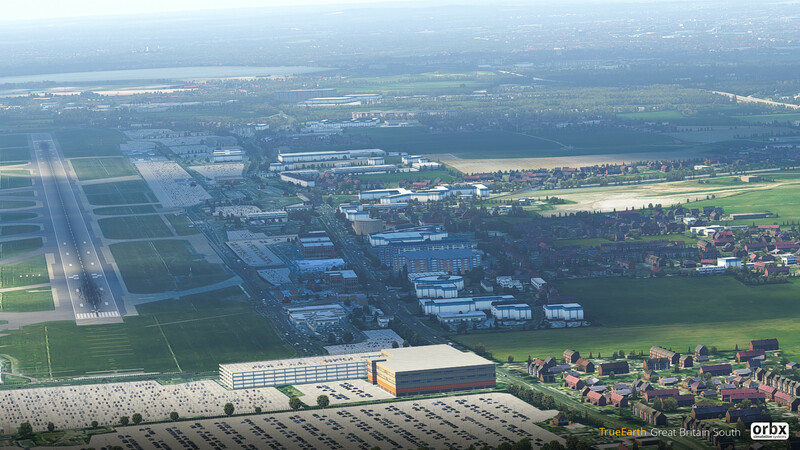 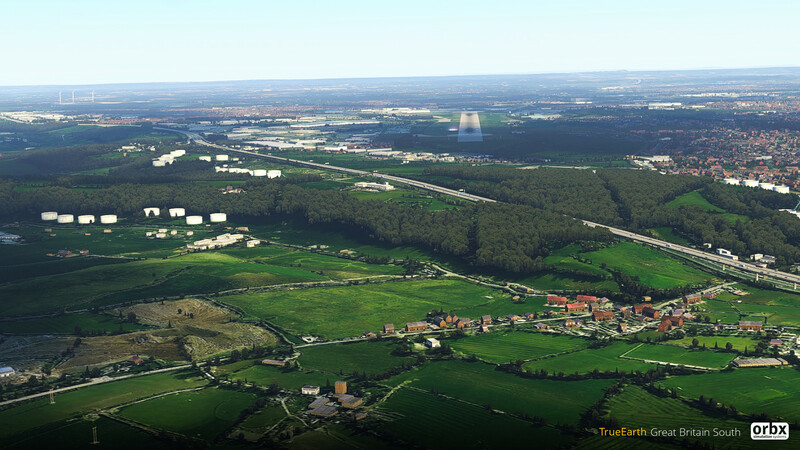 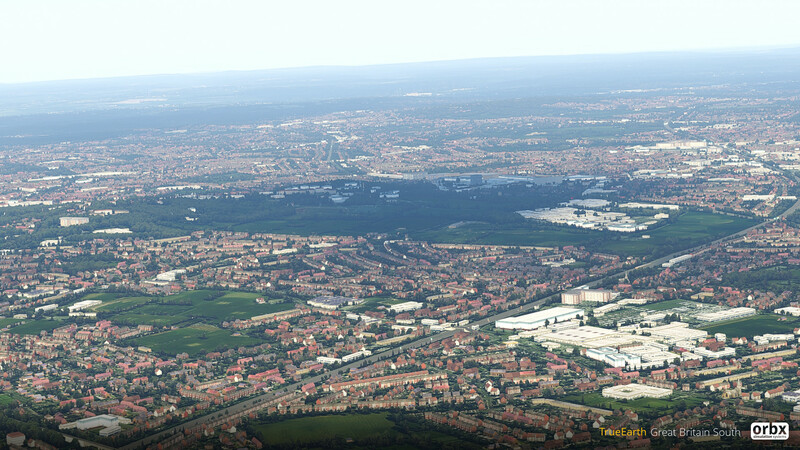 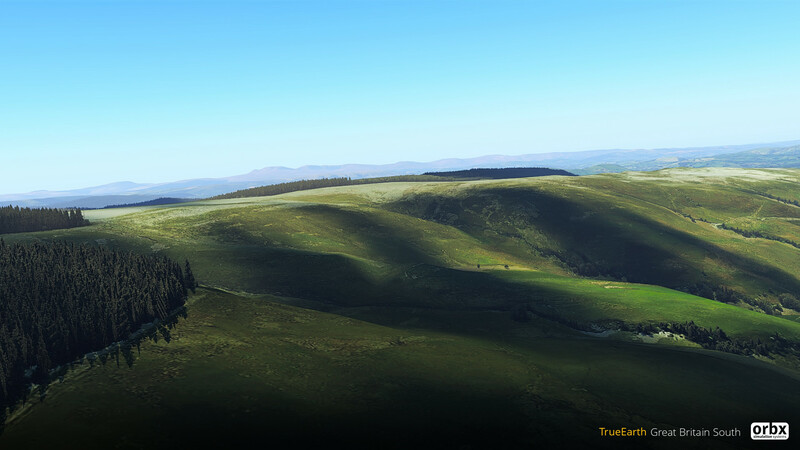 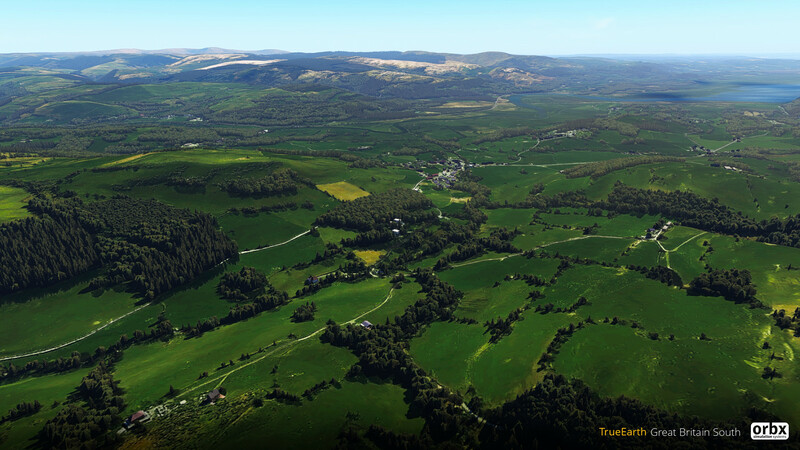 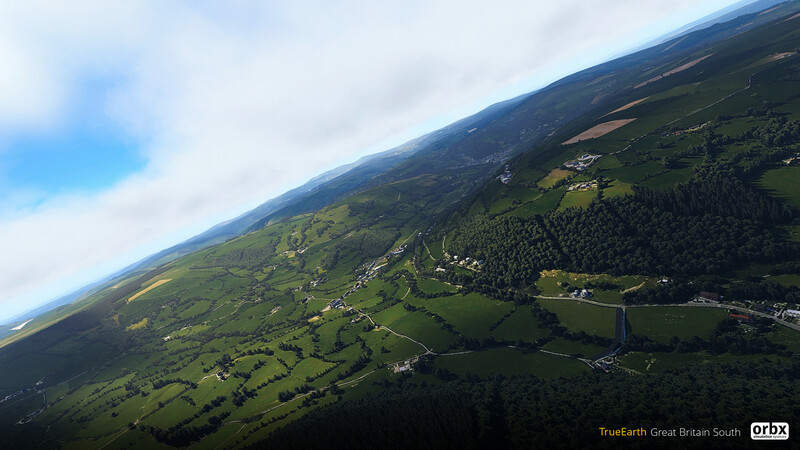 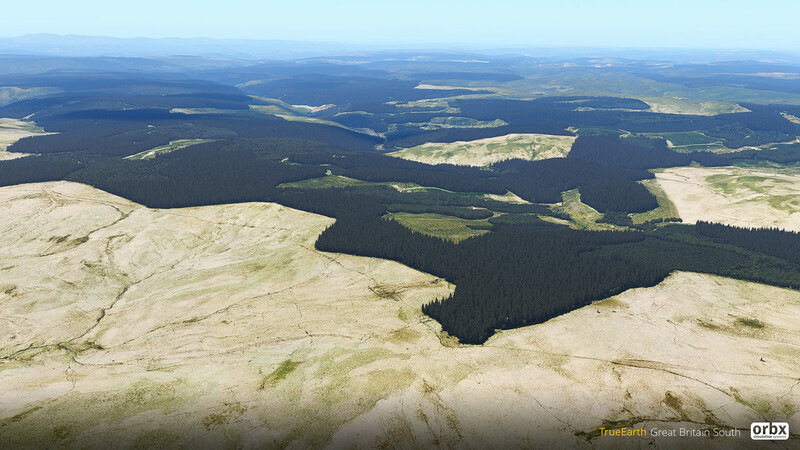 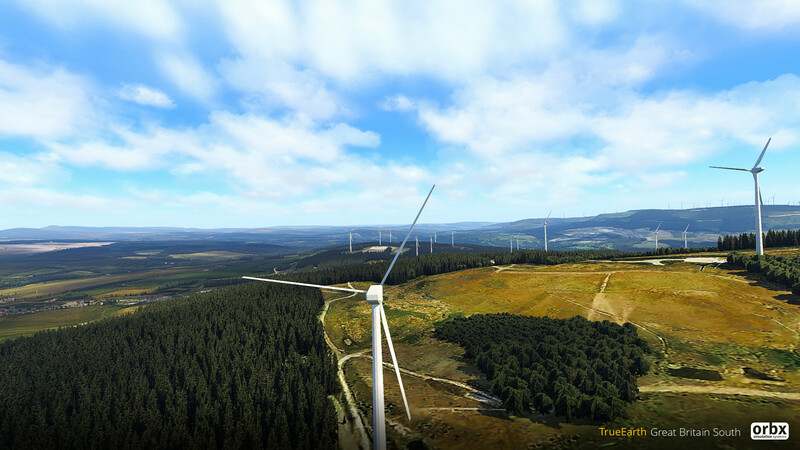 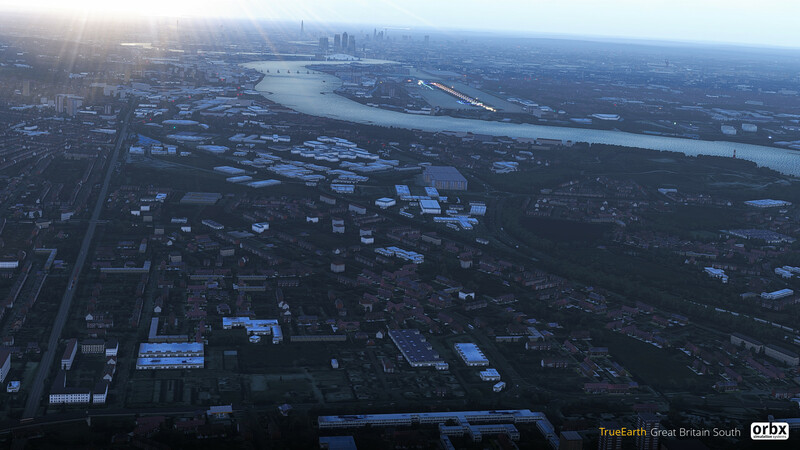 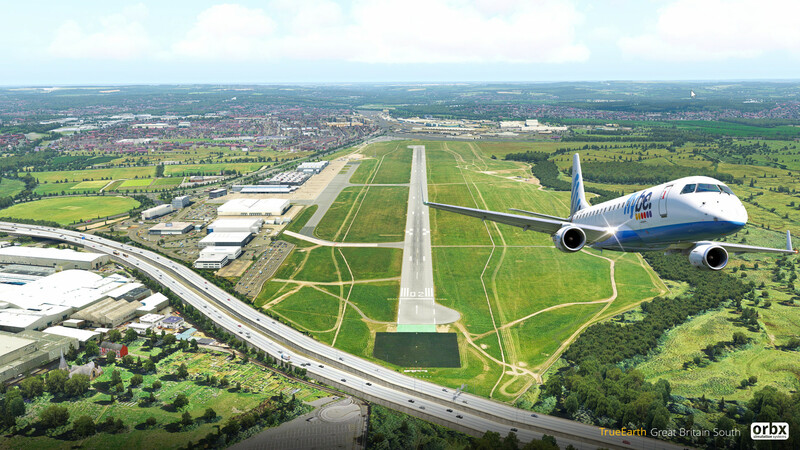 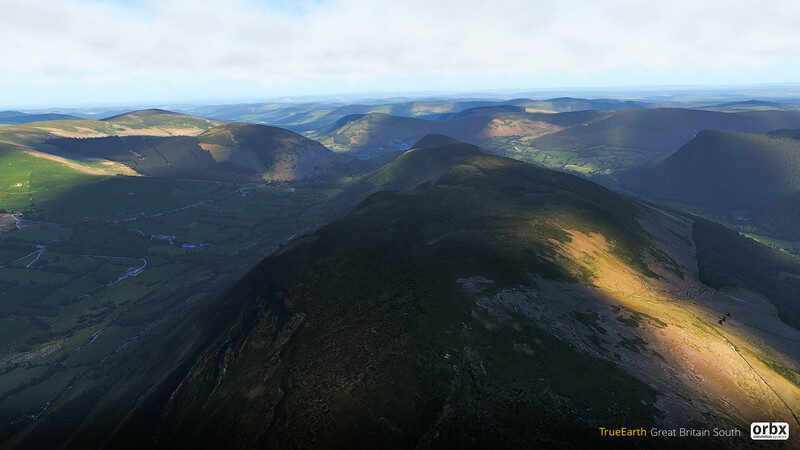 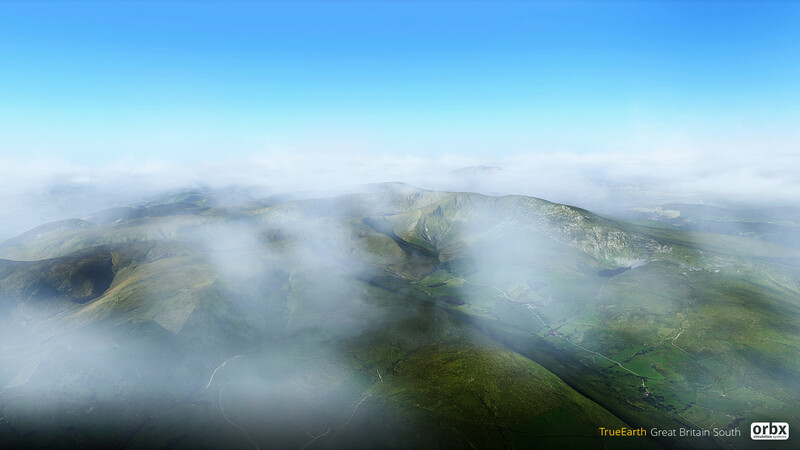 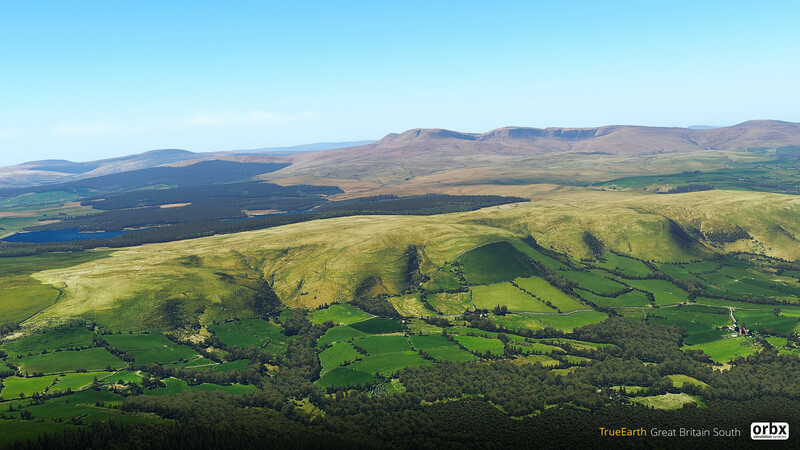 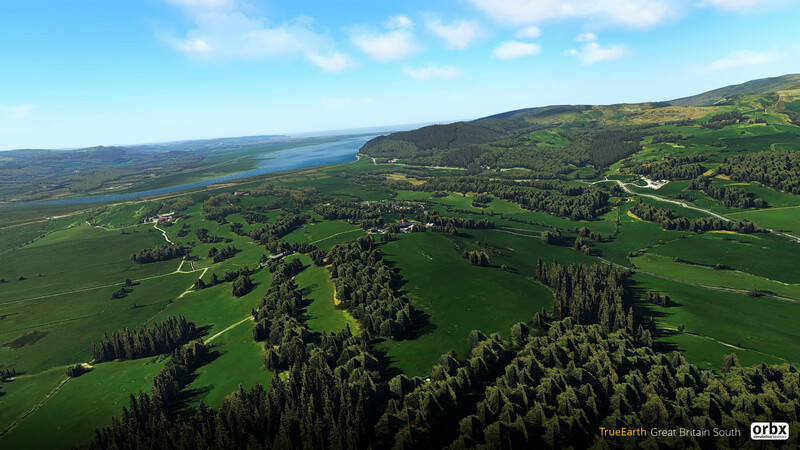 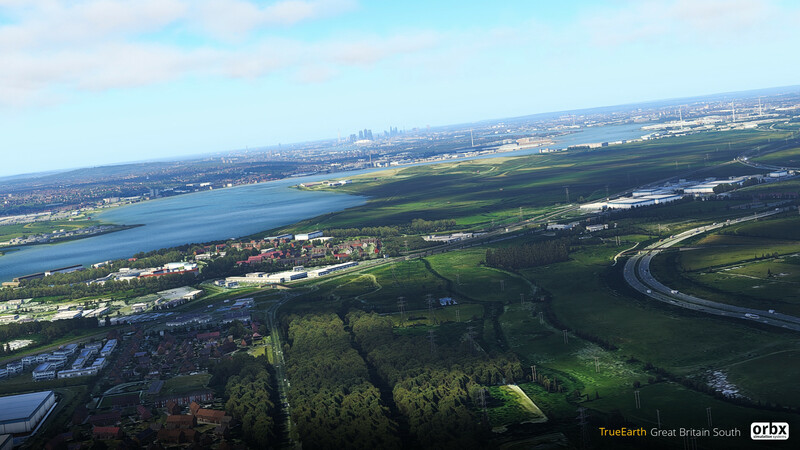 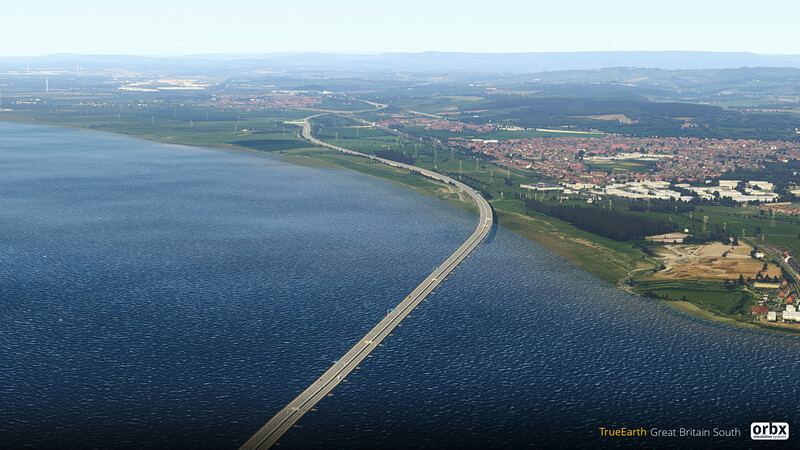 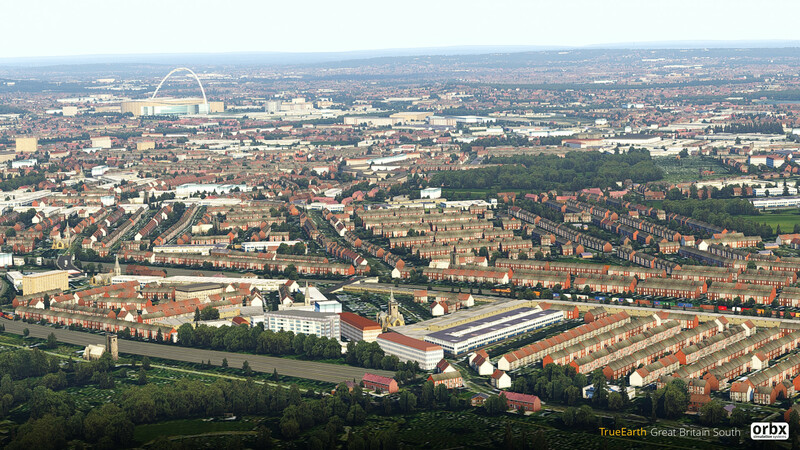 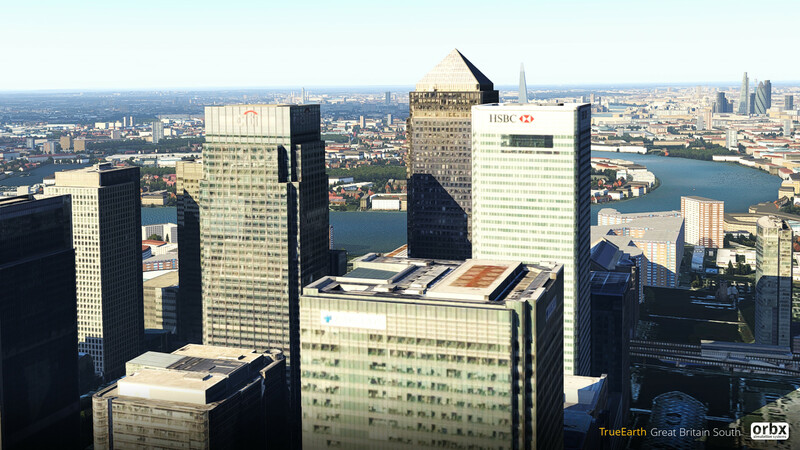 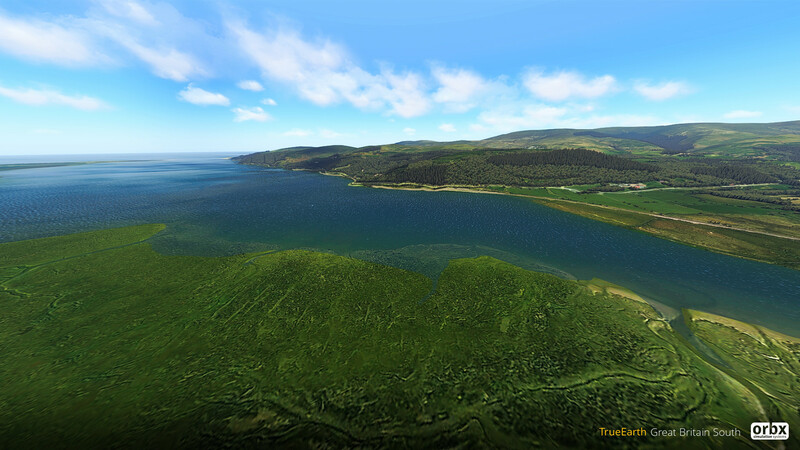 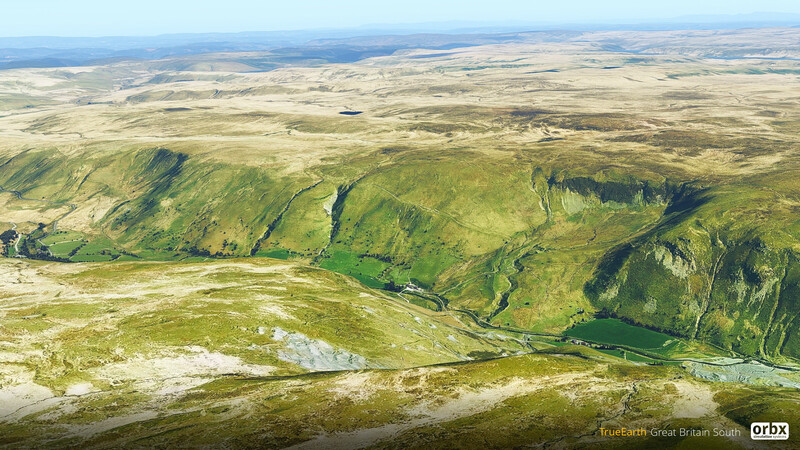 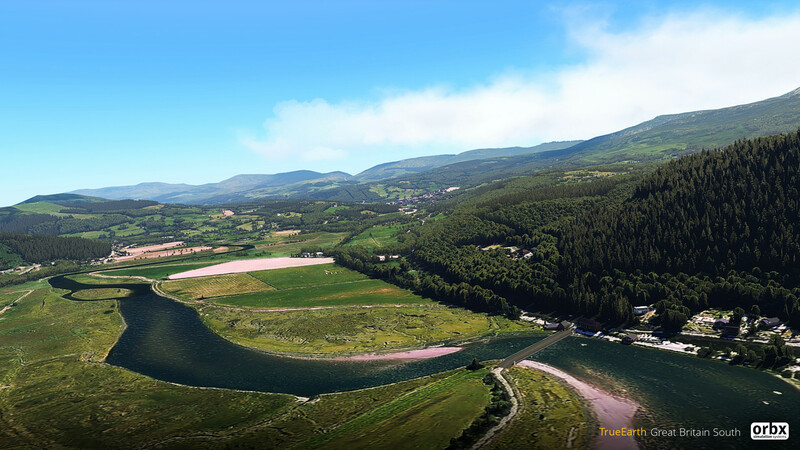 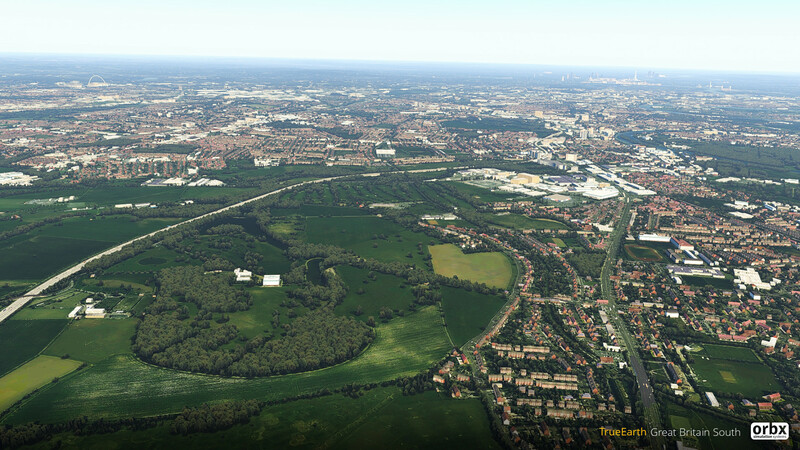 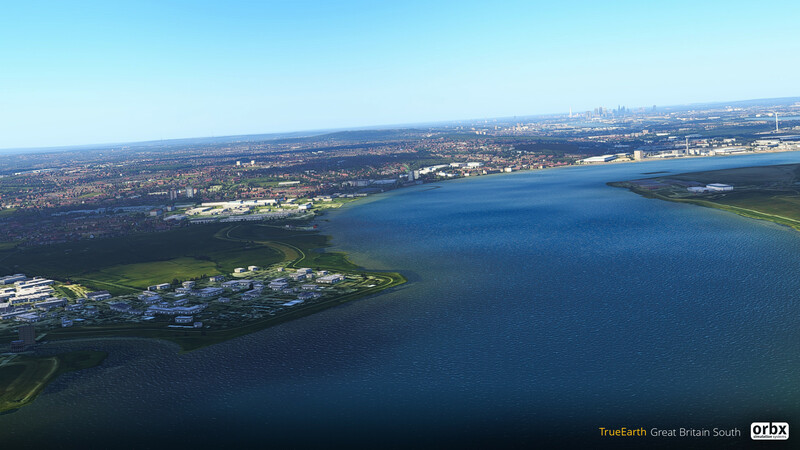 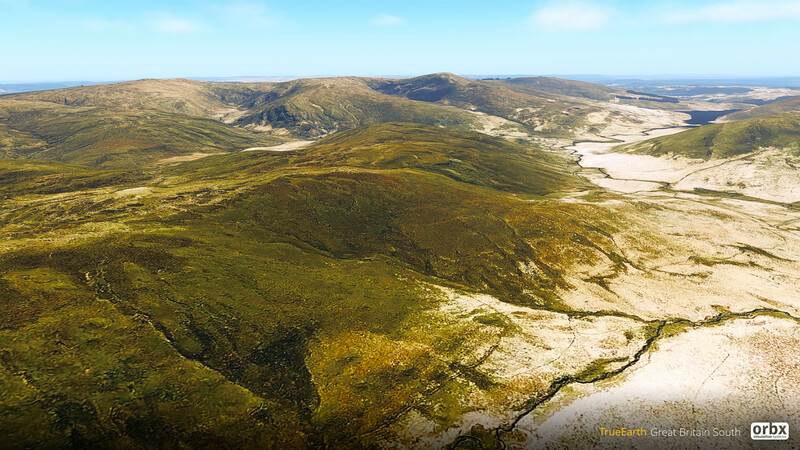 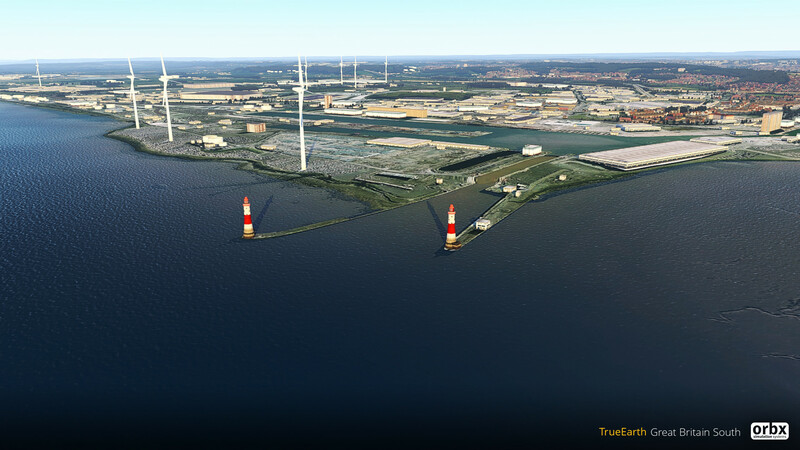 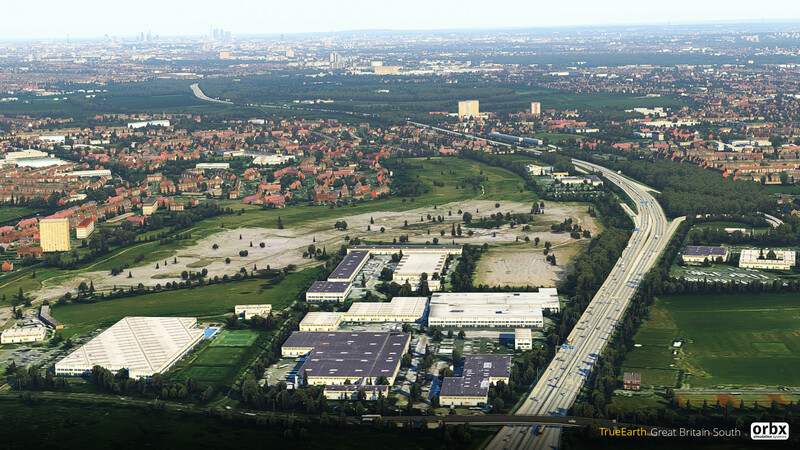 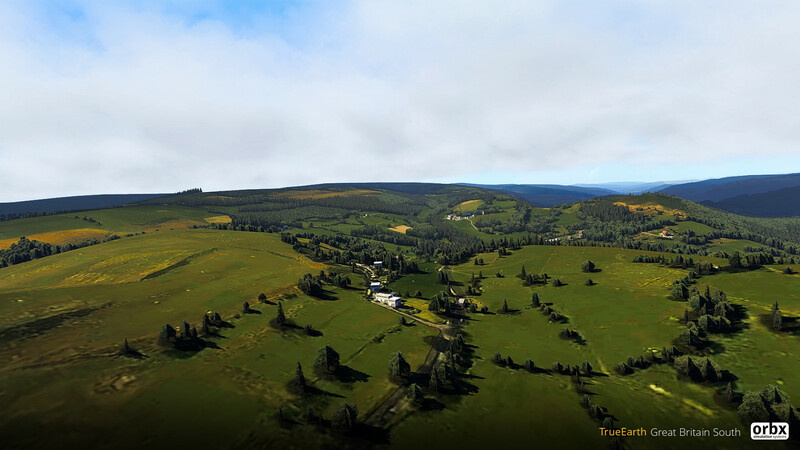 Earlier this year, we announced that we would be developing TrueEarth Great Britain for X-Plane 11. 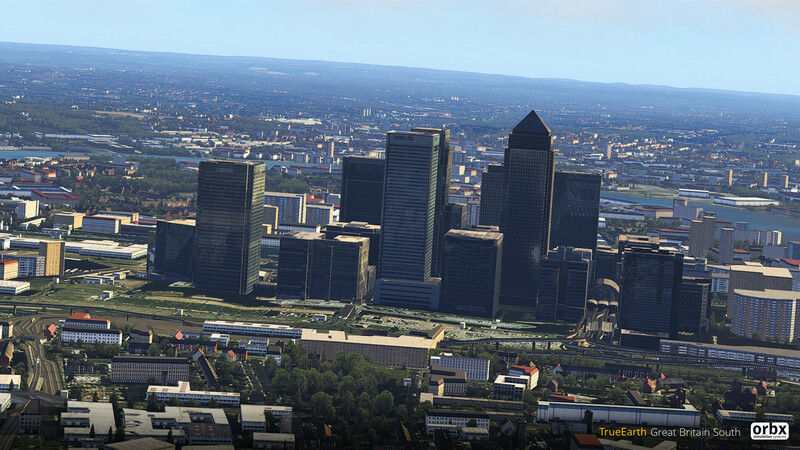 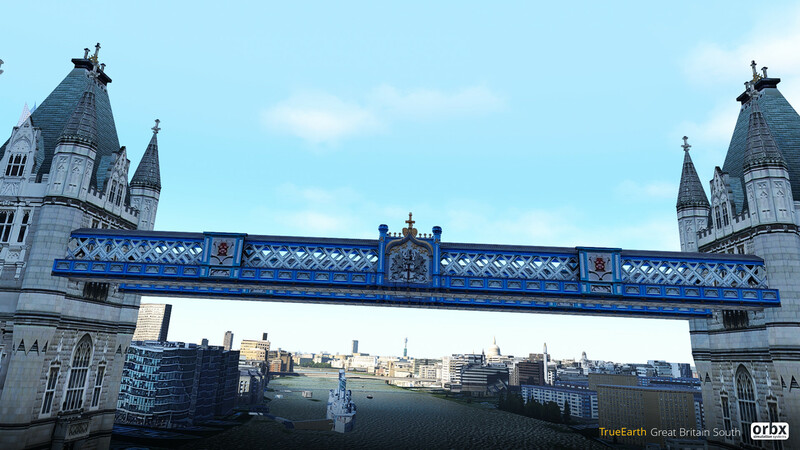 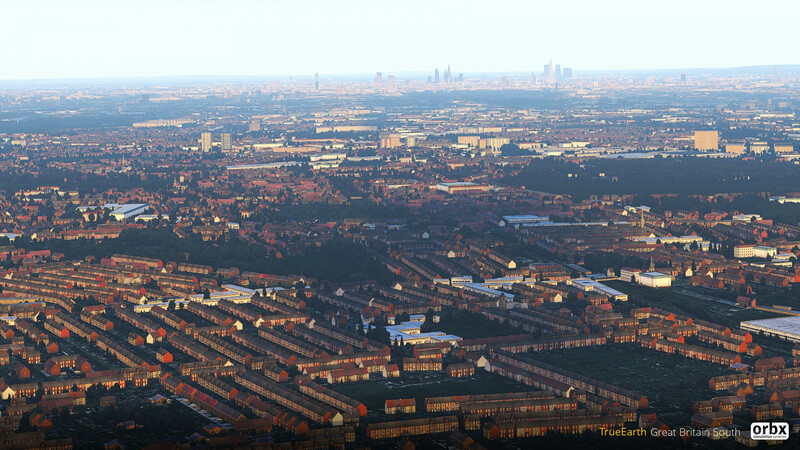 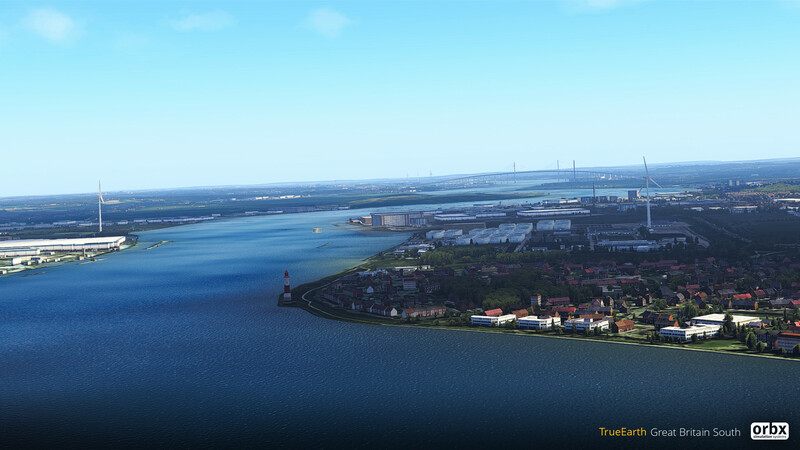 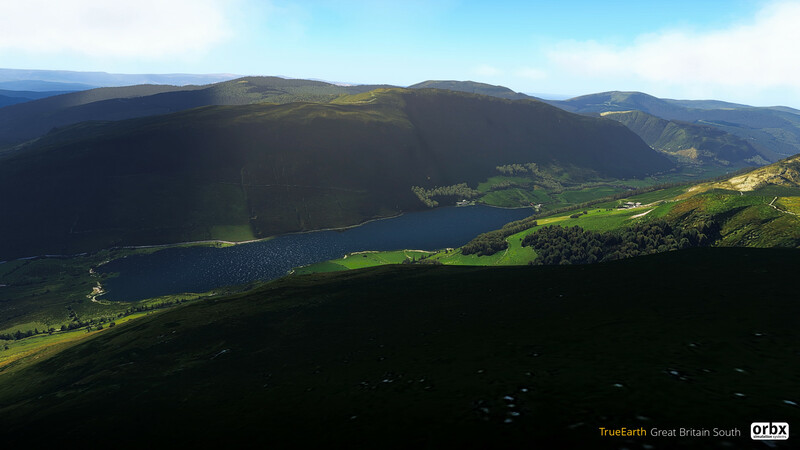 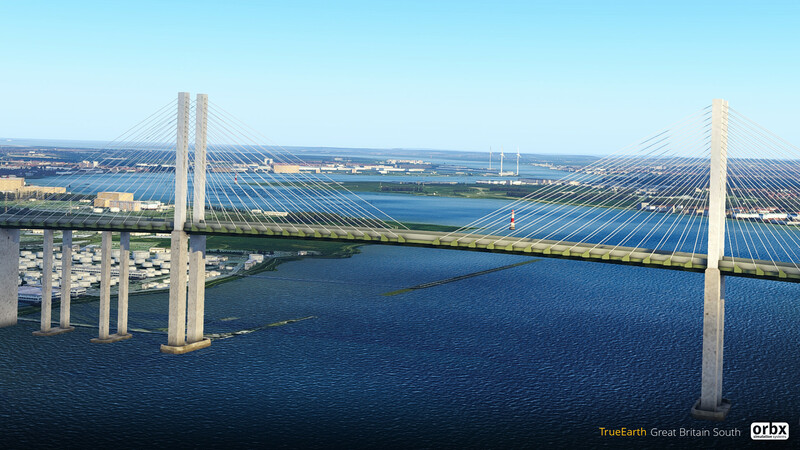 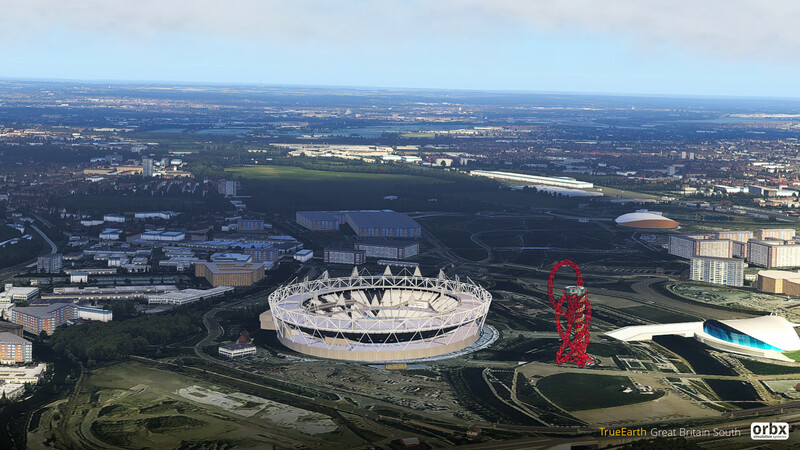 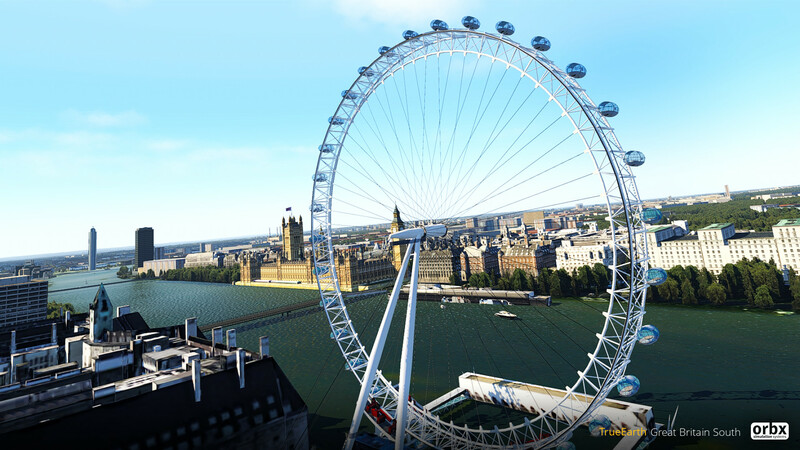 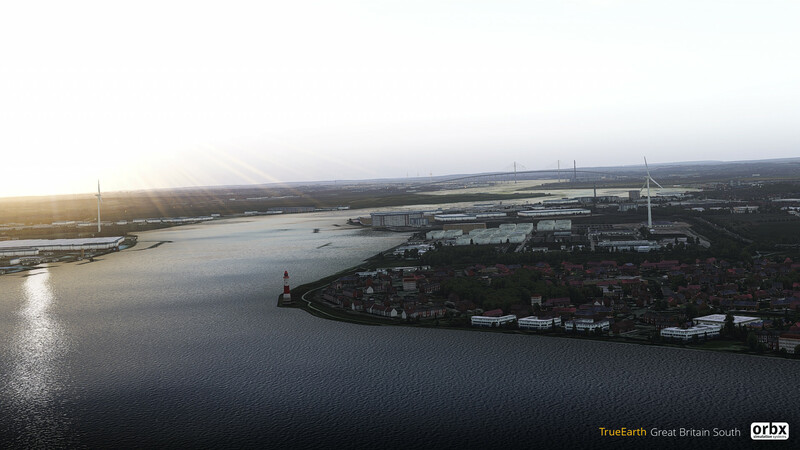 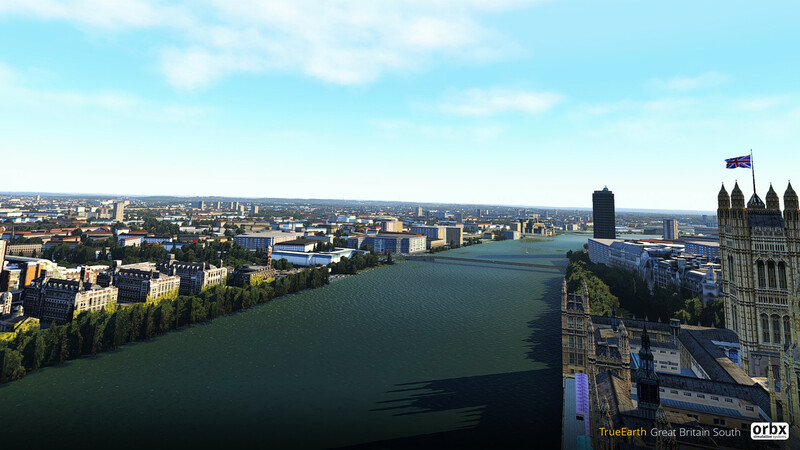 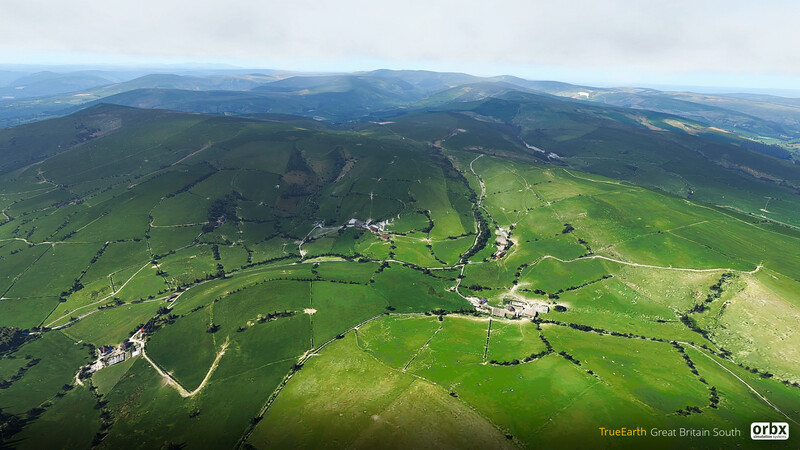 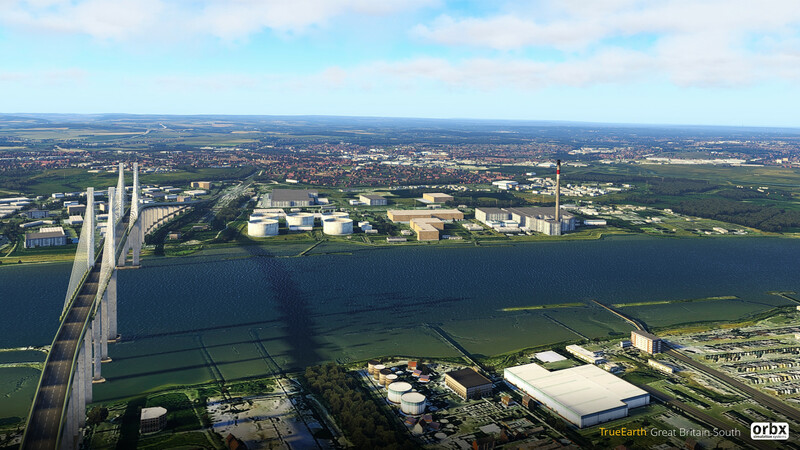 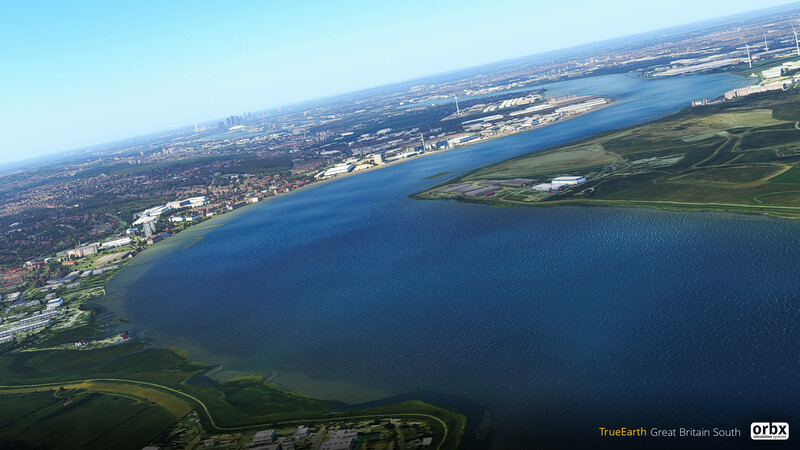 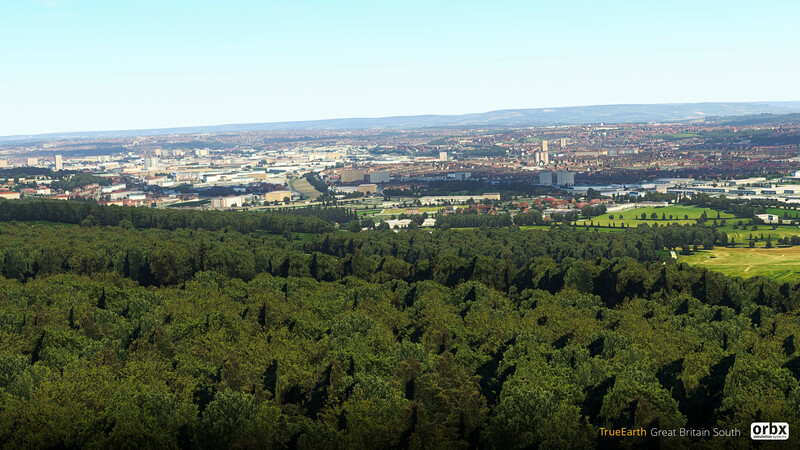 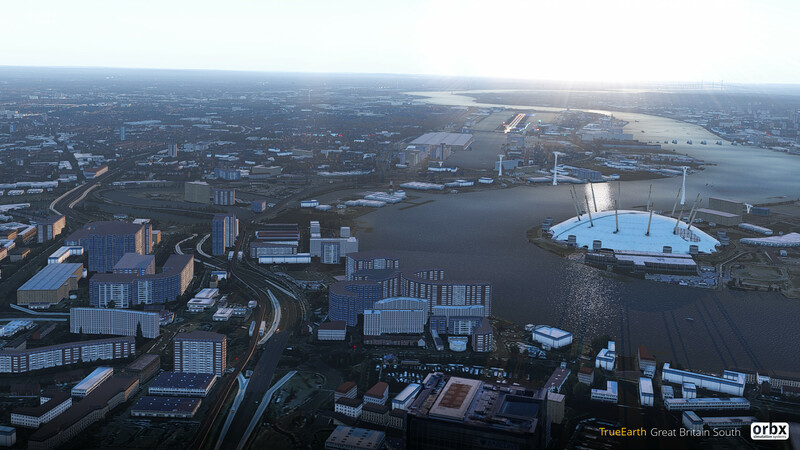 Our X-Plane team headed up by specialist Tony Wroblewski has been working tirelessly to bring you the first title in the series, TrueEarth Great Britain South. 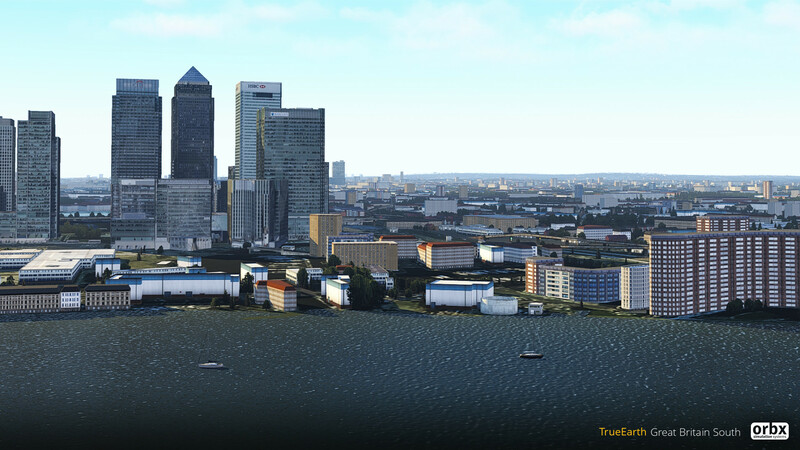 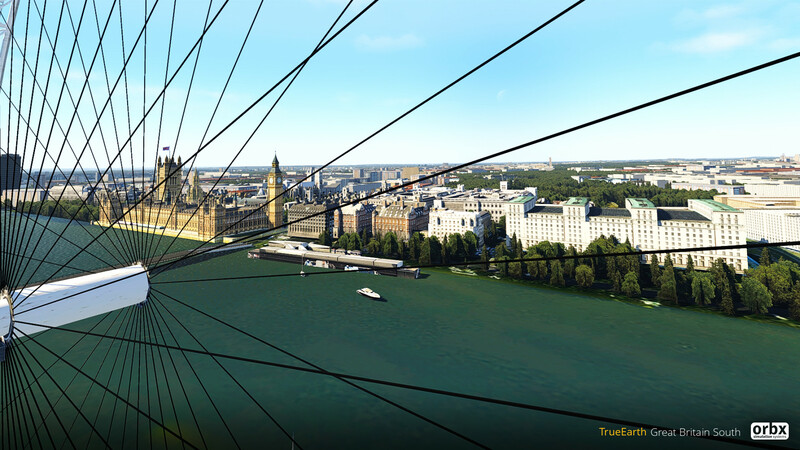 TrueEarth Great Britain for X-Plane is series of three with GB Central and GB North to follow in the coming months. 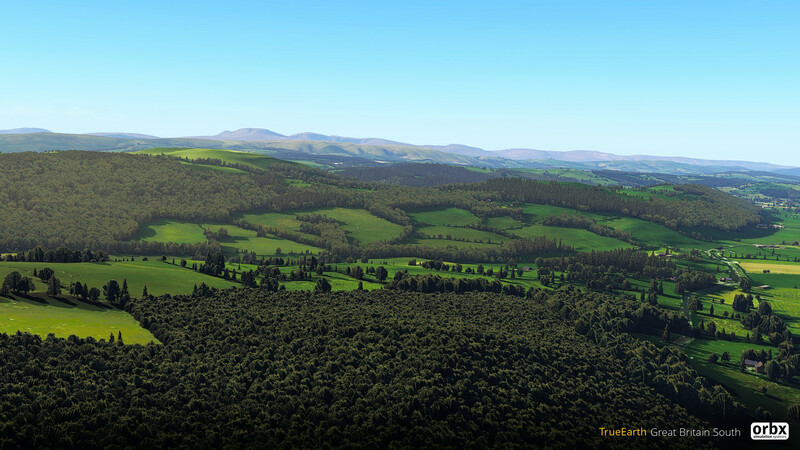 We always intended to release TrueEarth Great Britain as three separate regions, just like we did for the original UK FTX Regions. 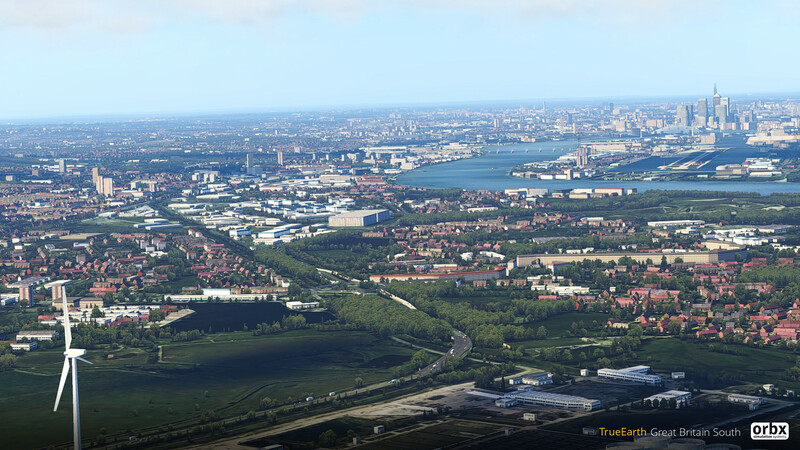 However, we cannot release them based on geographical boundaries as with did for the FTX regions, because the only correct way to distribute mesh based sceneries for X-Plane is using 1-degree tiles. 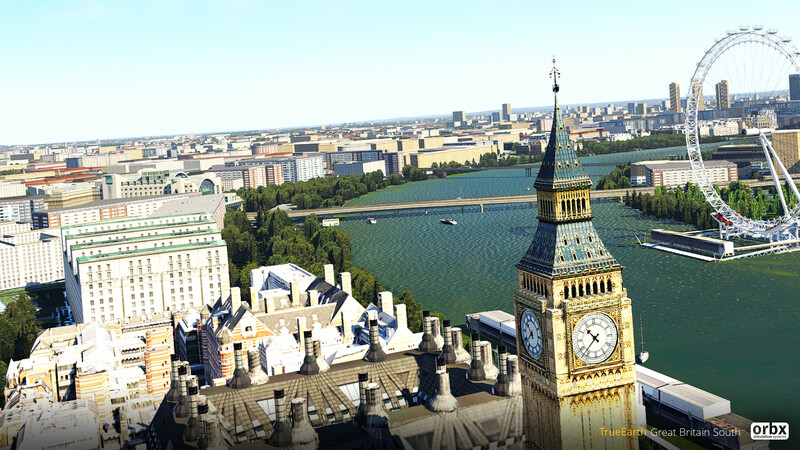 For this reason we have split GB into South, Central and North as you can see in the map. 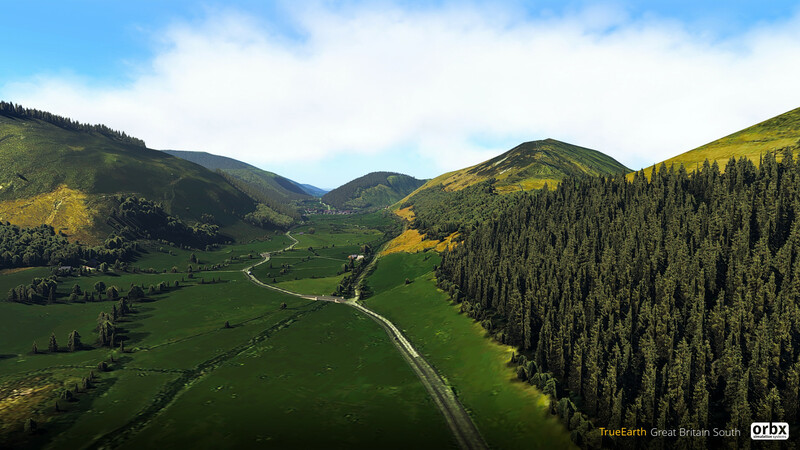 We will also split TrueEarth GB for P3Dv4 and AFS2 in the same way to keep the product line consistent between simulators. 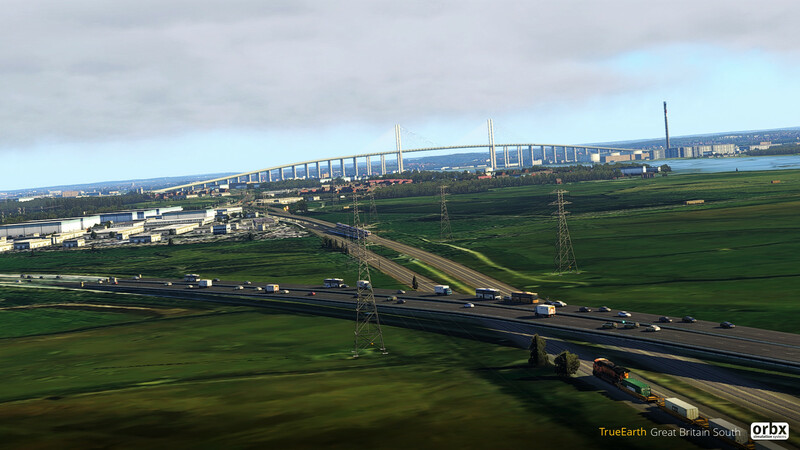 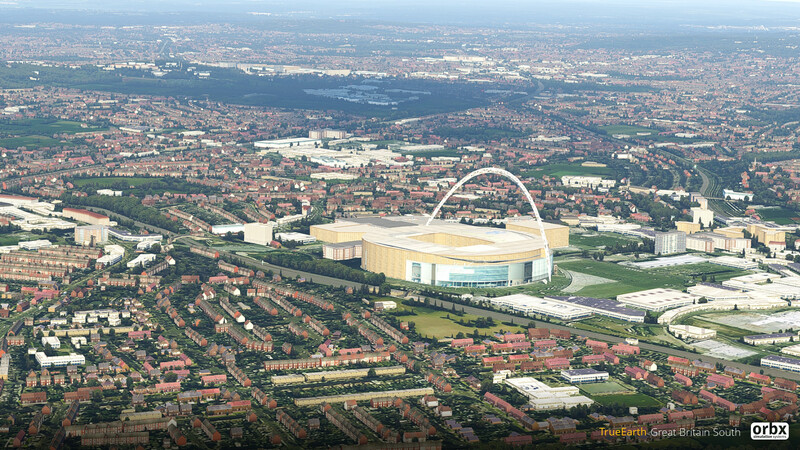 GB South covers a whopping 42,000 square miles (107,349 km2) and covers Southern England and Wales. 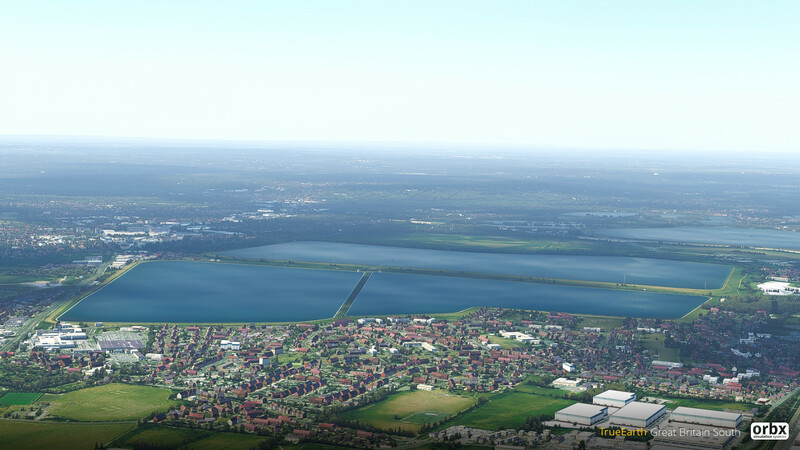 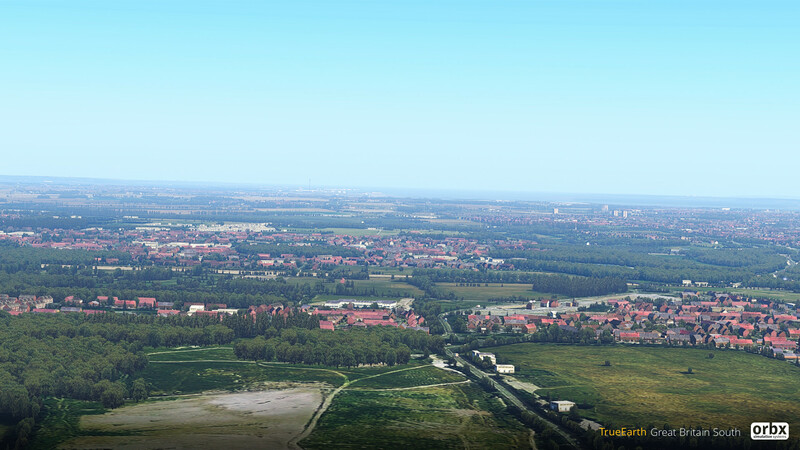 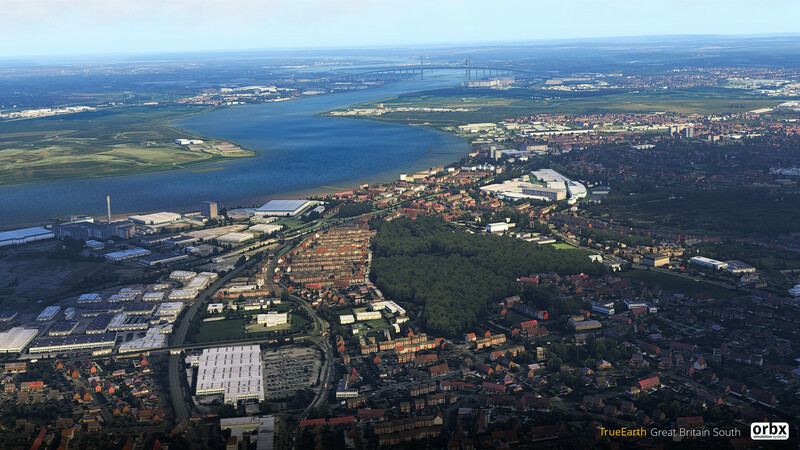 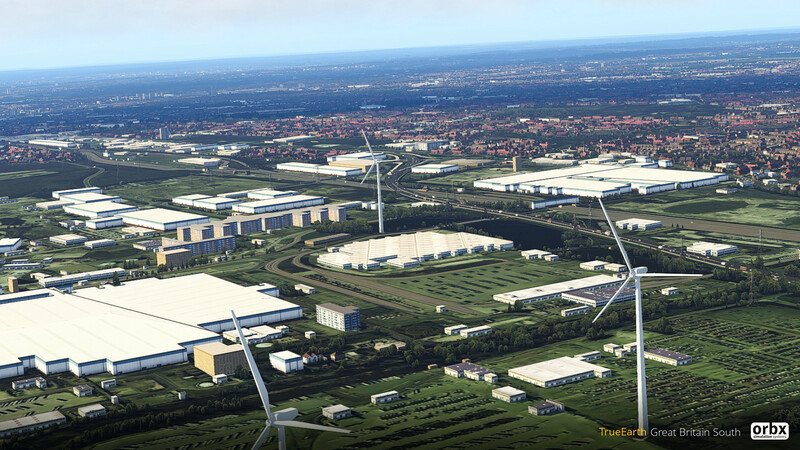 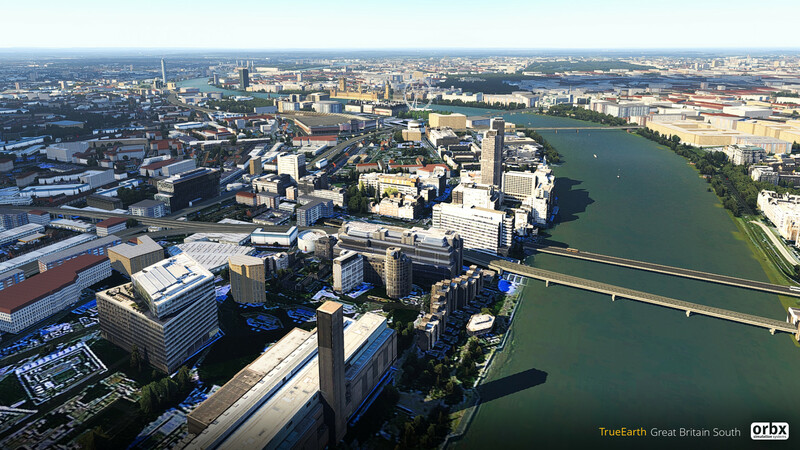 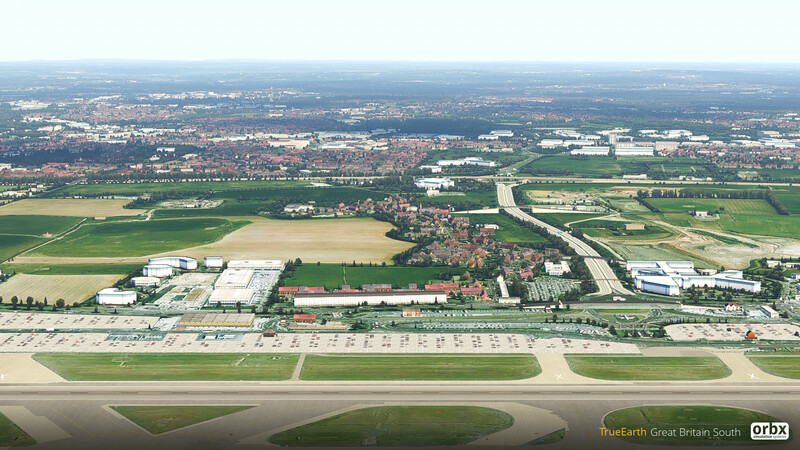 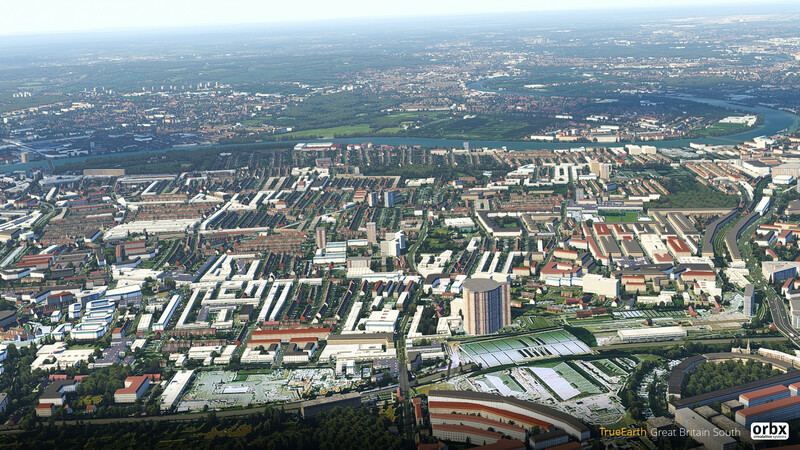 We have developed new autogen technology especially for X-Plane which allows for region specific houses to be placed accurately to ensure maximum immersion. 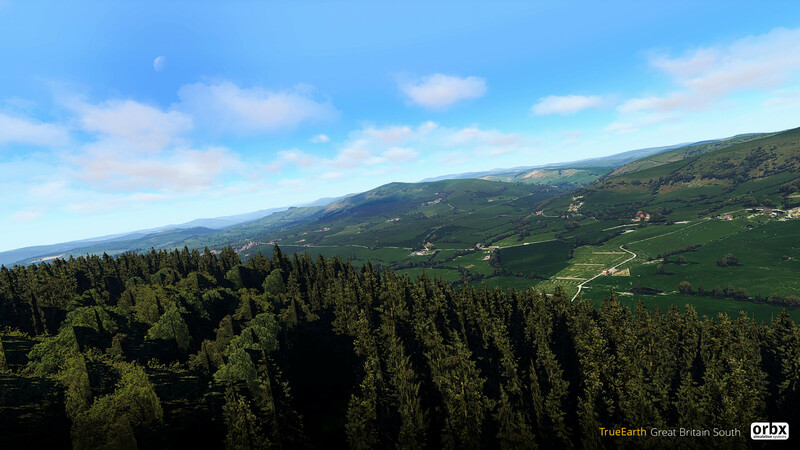 We have also added a new built-in decompression feature in FTX Central to greatly reduce the download size (approx 35GB instead of 90GB) ensuring an efficient installation process. 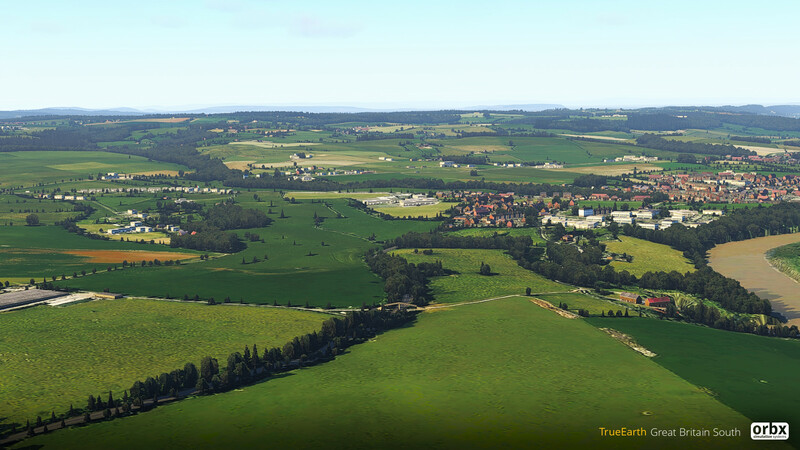 Please note that there is no cross-grade discount from the landclass-based FTX England, Wales or Scotland regions. 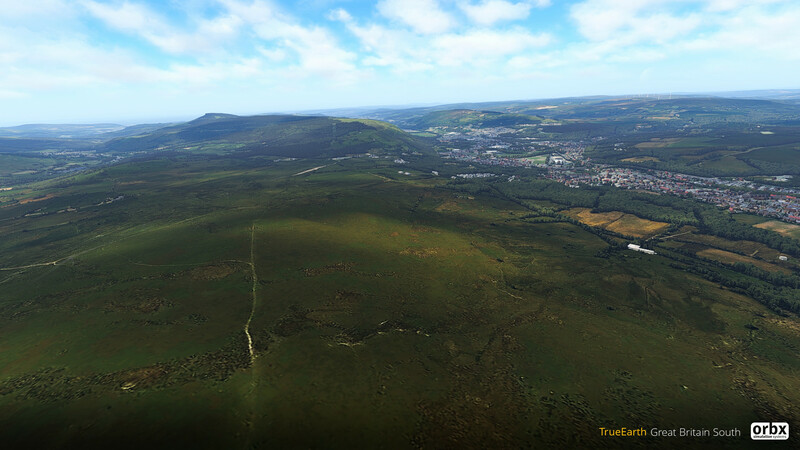 All of the Orbx FTX England and Wales airports are in the process of being ported to XP11 right now, and EGHI Southampton, EGFF Cardiff and EGKA Shoreham will be released very soon after TrueEarth GB South is out - we will demo those at Cosford. 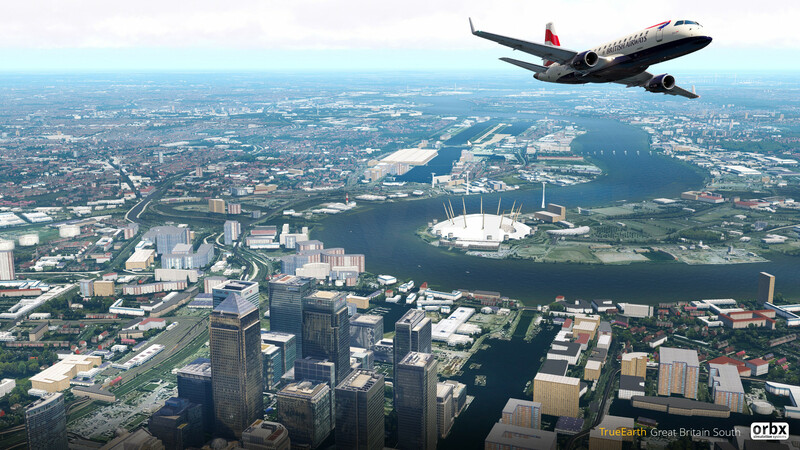 All the Orbx UK airports will be available for XP11 before the end of the year. 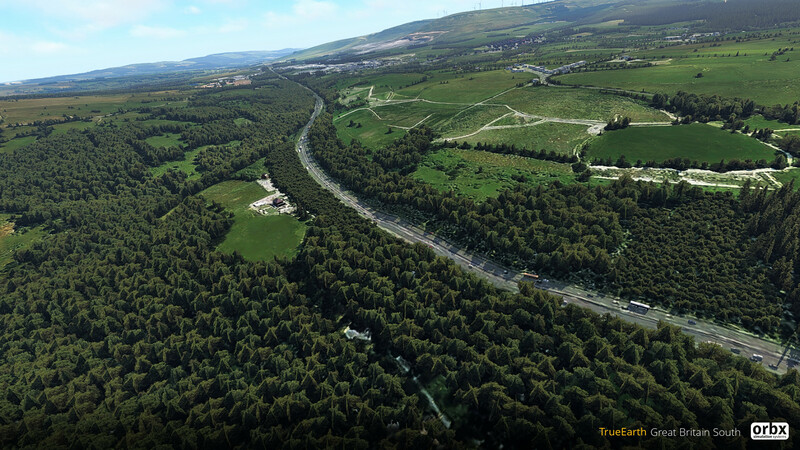 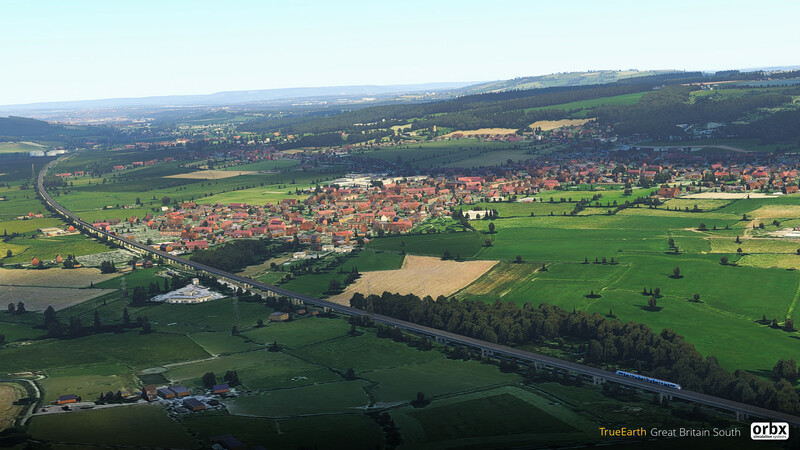 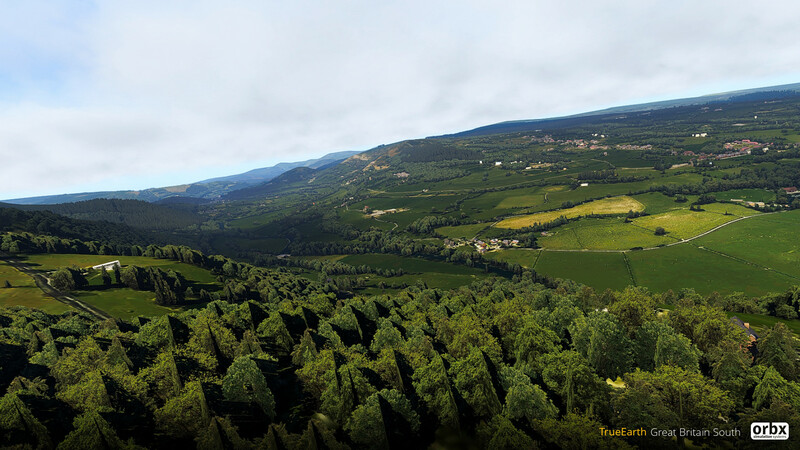 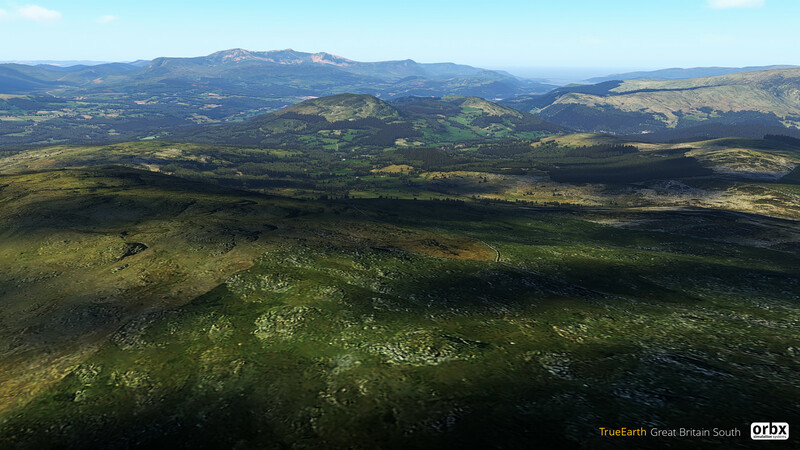 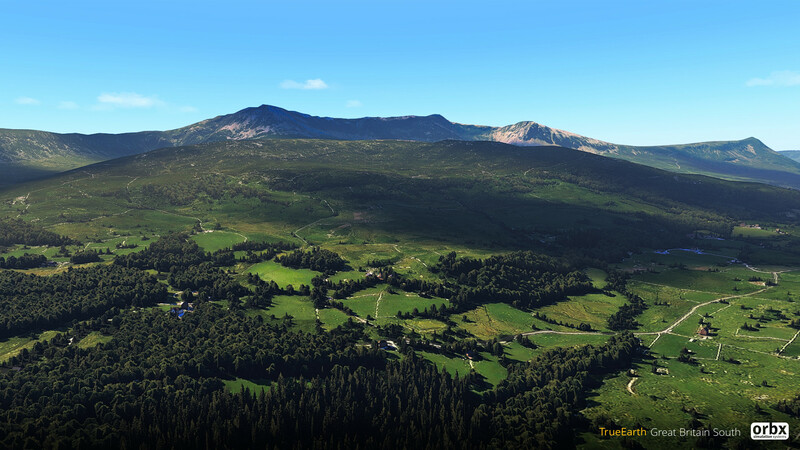 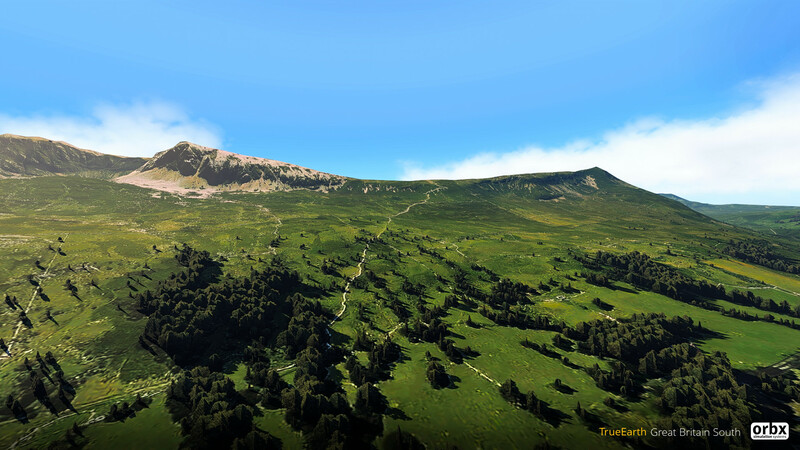 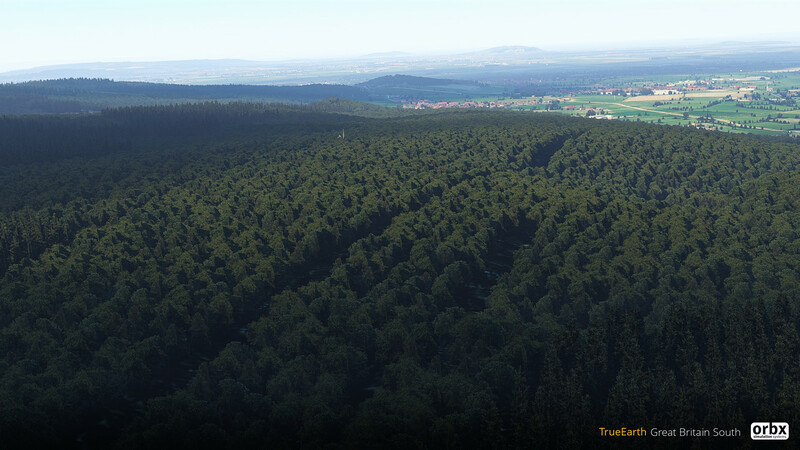 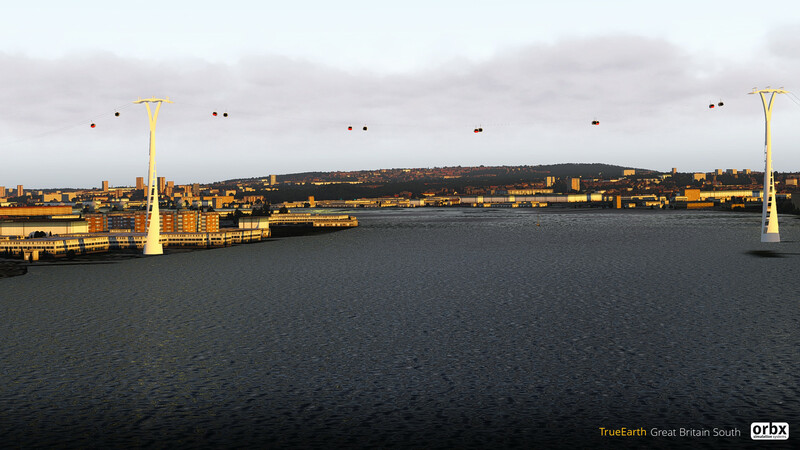 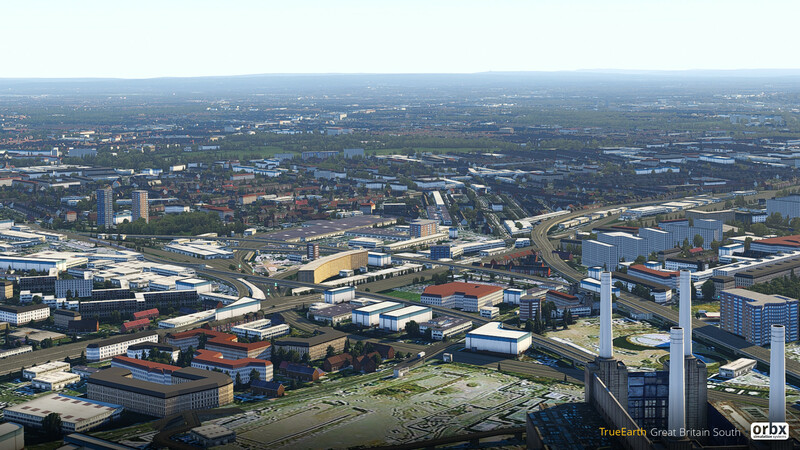 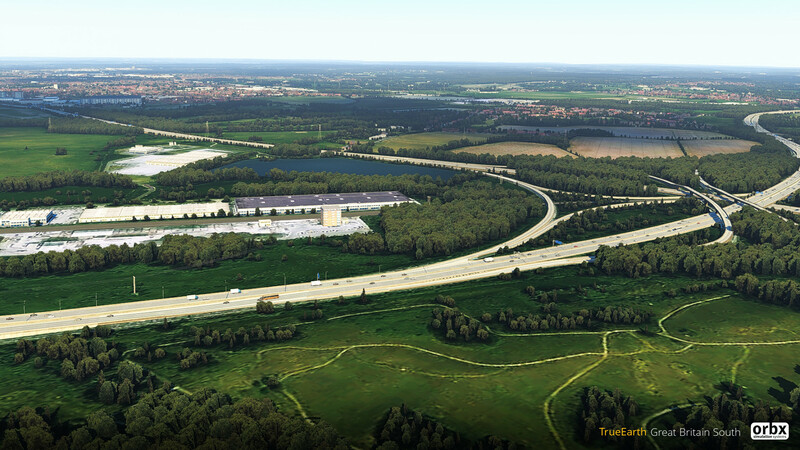 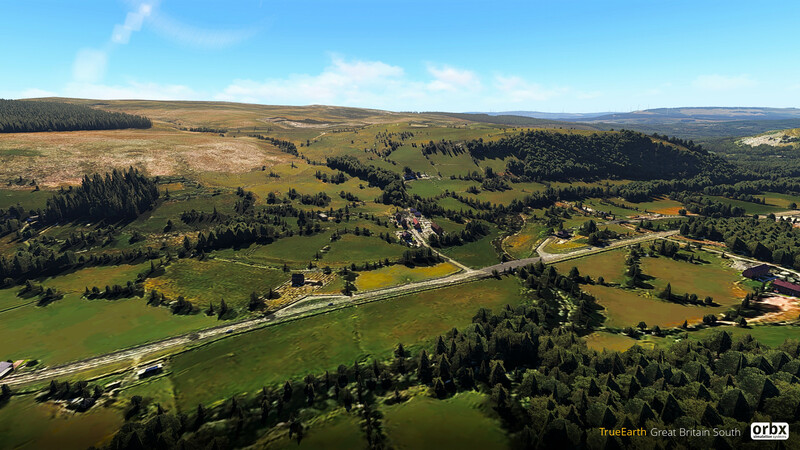 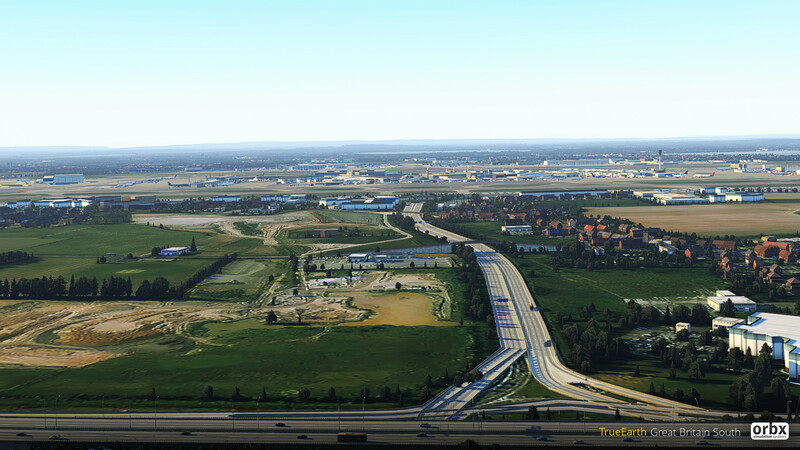 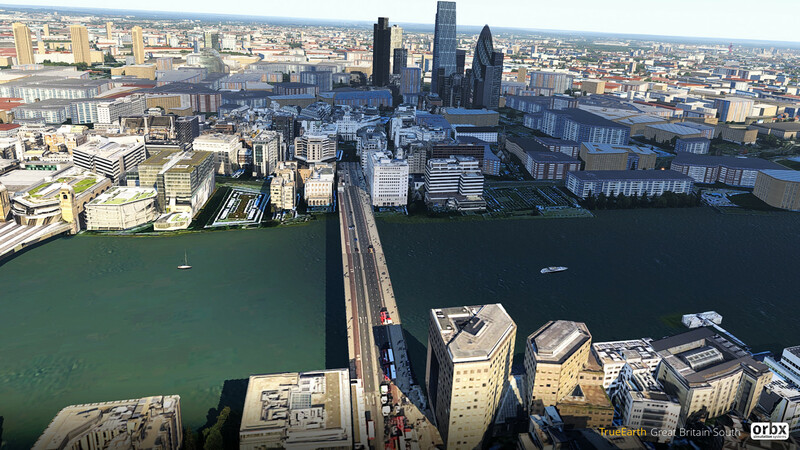 The P3Dv4 version of TrueEarth GB South is about 60% complete and we’re aiming for release by the end of the year. 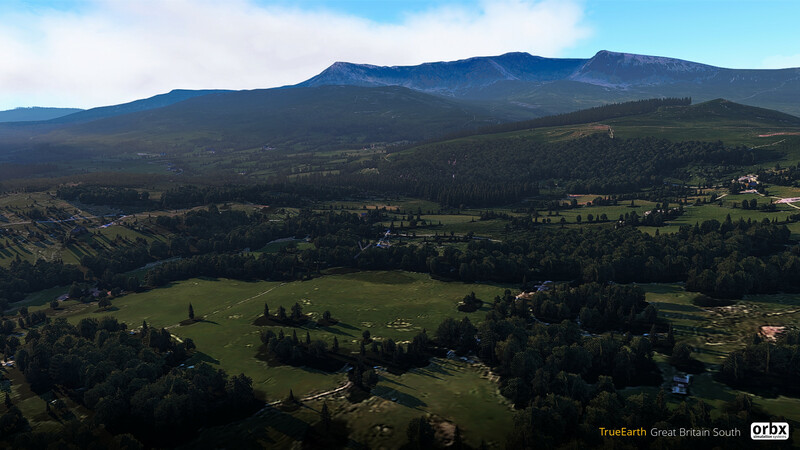 After Great Britain, we begin development of TrueEarth regions in the USA from early 2019, beginning with Pacific Northwest! 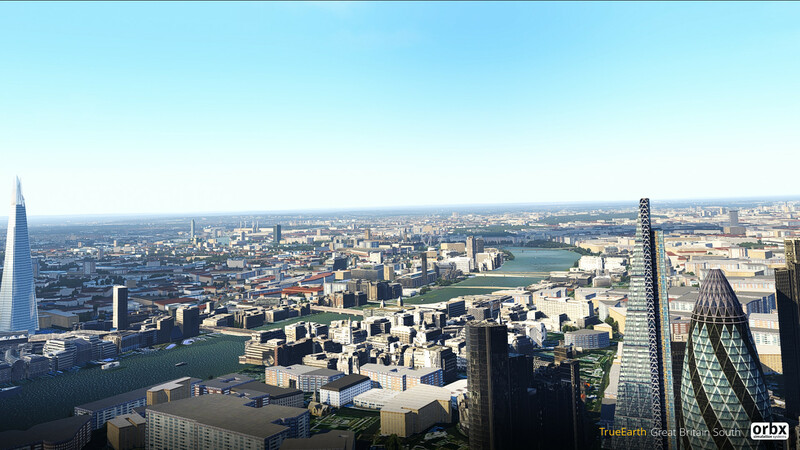 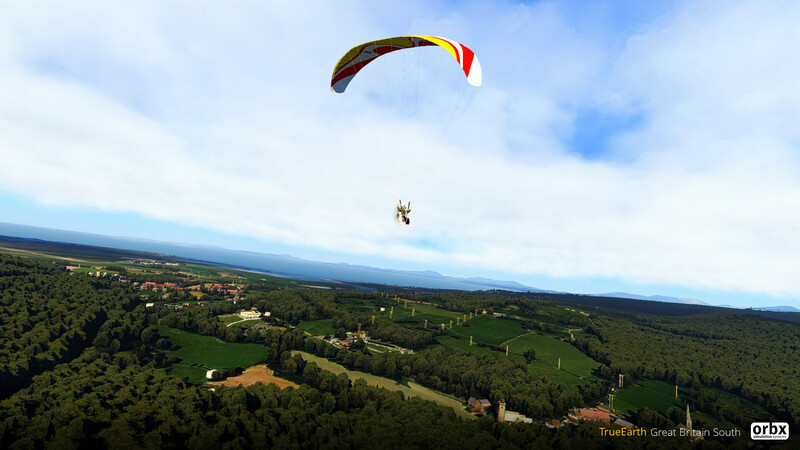 This scenery is top of my list of what to get next. 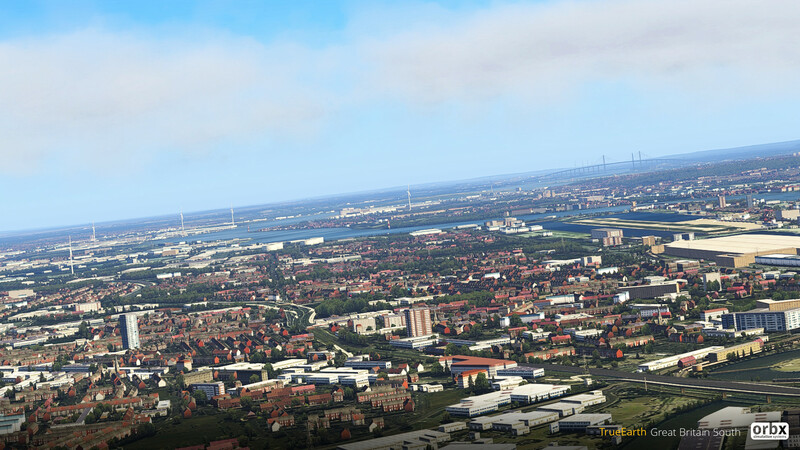 Can't wait for the P3D version. 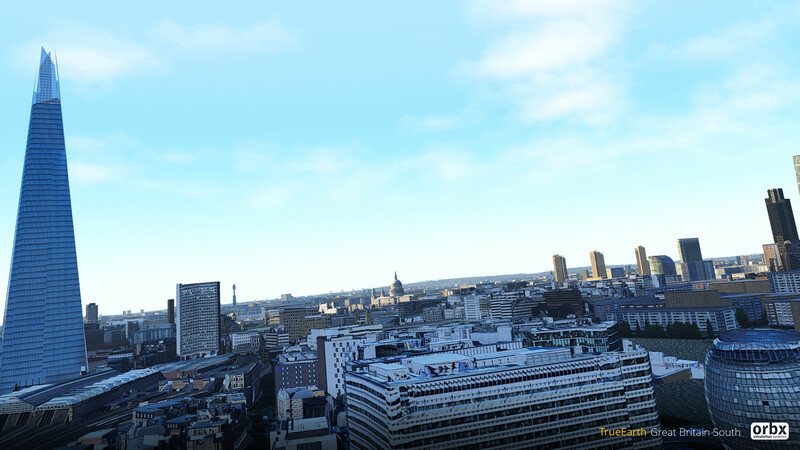 Stunning stuff indeed. 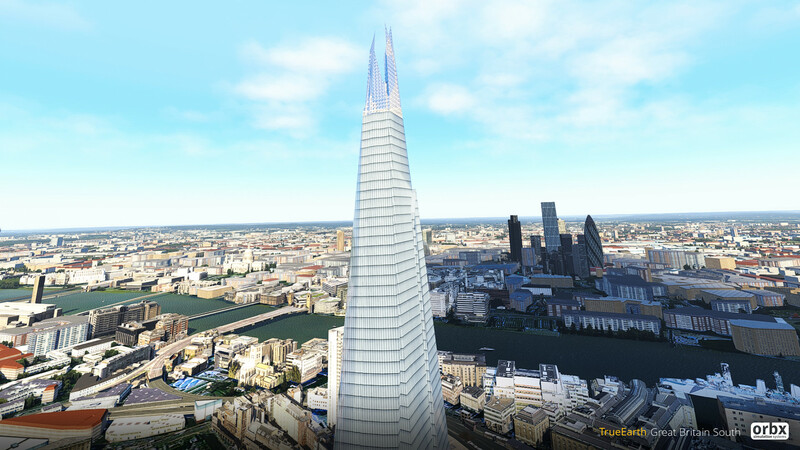 Also cheap as chips given the work input. 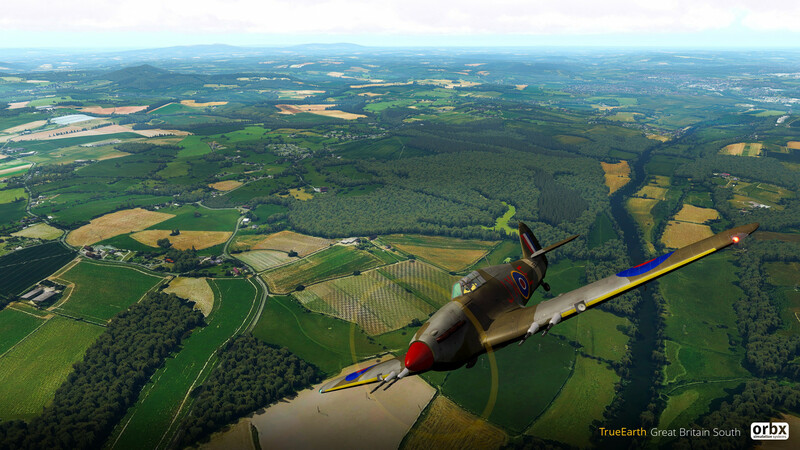 This looked really good at Cosford, I was impressed by what I saw, this for me is a gamechanger as it now shows that some of the larger devs including the likes of ORBX and JF are firmly behind XP and the challenges of a forever changing platform..